Il Best Western New Baltimore Inn è situato nel centro di West Coxsackie. L'hotel è vicino alle principali attrazioni turistiche. Approfittate tutto l'anno del miglior prezzo garantito e di offerte esclusive. Vieni a scoprire la splendida Hudson Valley e i suoi dintorni, soggiornando in questo confortevole hotel di West Coxsackie, situato vicino a luoghi in cui è possibile sciare e pescare, a negozi di antiquariato e non solo!Il Best Western® New Baltimore Inn si trova in un'ottima posizione, nella parte settentrionale dello Stato di New York e sull'Interstate 87, ed è quindi molto comodo per andare alla scoperta di tutto quello che la zona ha da offrire, compresi i numerosi negozi di antiquariato delle vicinanze. Potrai sciare sulle piste delle vicine stazioni sciistiche Windham Hunter Mountain o fare un'escursione a piedi sugli spettacolari monti Catskills. Potrai pescare sul fiume Hudson o assistere a un'emozionante corsa di cavalli al Saratoga Race Track. Questo hotel di West Coxsackie è inoltre la base perfetta per esplorare altre zone dello stato di New York: Albany, la capitale dello stato, si trova a soli 20 minuti a nord, mentre New York City è raggiungibile in due ore. I viaggiatori d'affari apprezzeranno la vicinanza di questo hotel di West Coxsackie a numerose grandi aziende e organizzazioni, come la Ducommun Inc. , la prigione Coxsackie & Greene Correctional Facilities, la US Generating Company, la Empire Merchants North, la United Stationers, LaFarge Cement Company, la Port Coeymans e il Columbia Memorial Hospital. Situato nei pressi dell'uscita 21B della New York State Thruway, procedendo verso sud lungo la Route 9 direzione ovest, quest'hotel di Coxsackie si trova anche a soli sei chilometri circa dal fiume Hudson e a 20 minuti dalla città di Hudson, New York. Questo hotel Best?Western, situato nella parte settentrionale dello Stato di New York e in cui sono ammessi animali domestici, vanta 63 camere arredate con gusto e dotate tutte difrigorifero, microonde, TV via cavo/satellite e accesso wireless a Internet ad alta velocità gratuito. Gli ospiti dell'hotel potranno approfittare di numerosi altri servizi, tra cui una colazione completa e gratuita, una piscina al coperto, una vasca idromassaggio e un centro fitness. 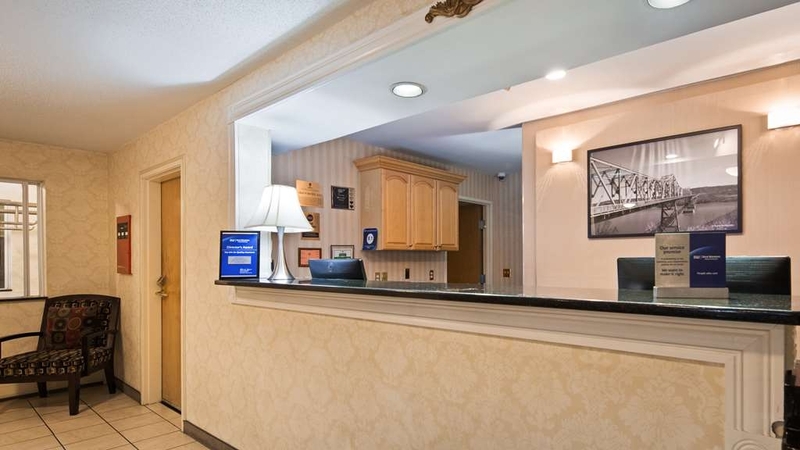 Contatta il personale cordiale del Best Western New Baltimore Inn per cominciare ad organizzare un viaggio indimenticabile nella parte settentrionale dello Stato di New York. Prenota subito il tuo soggiorno! Ti auguriamo un soggiorno gradevole! One of the things I learned from this trip that from now on, whenever I make reservations anywhere, I will always inquire as to whether or not there is an elevator! We recently had an overnight stay at this hotel. It is a two level hotel. My husband is recently recovering from a torn Achilles tendon. Because this hotel does NOT have an elevator, we had to climb up a flight of stairs with suitcases in hand to get to the second floor where our room was. The room itself was a little dusty, but overall clean. The beds and pillows were comfortable. The breakfast was adequate, and Paula, the breakfast room staff, was truly lovely and couldn't be more helpful to the guests. We were also surprised that we had to pay an additional $10.00 fee for our son, who is 14, to be in the room with us. Gilda Thank you for reviewing our hotel. I apologize for the inconvenience you experienced. We are happy to accommodate our guests who find it difficult to climb stairs, I am sorry if you did not request the first floor at the time of your reservation. Incredibly friendly staff, quick check in process, beautiful from the outside grounds, to reception, to hallways and the room. Well laid out, all the necessary amenities. Relaxing, clean decor. Highly recommend!! Roving Thank you for the great review and rating. We appreciate your recommendation!! We hope you will be able to return the next time you are in the area. "Best Western - is the best"
I always choose Best Western FIRST when I travel. They are always clean, comfortable, and the breakfasts are quite good. I had my dog with me on this trip and the front staff greeted us warmly, showed a genuine interest. I love that the hotel is QUIET - I was able to take a nap when we arrived in the late afternoon, which I desperately needed after my long drive! 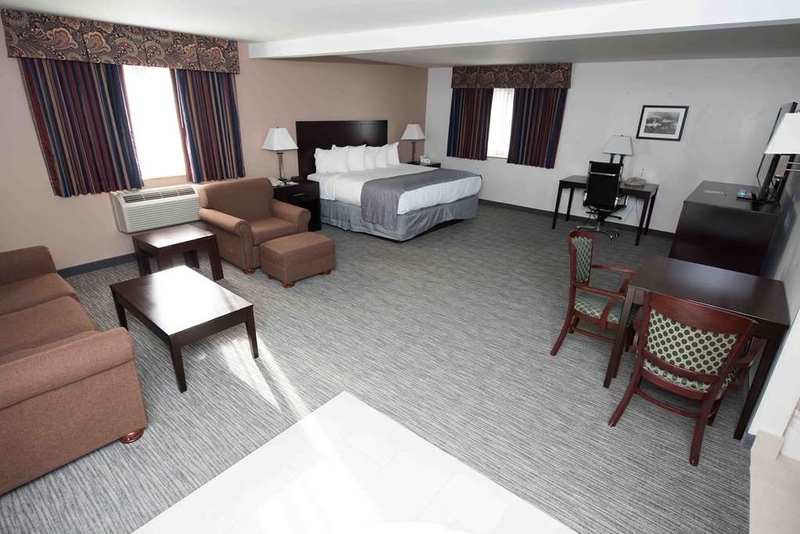 Wander We are so happy you wandered into our Best Western the New Baltimore Inn!! We appreciate your review and the rating you shared with others. Thank you for taking time to rate us. As always Harold at the front desk provided the best service. Clean rooms; helpful staff willing to go above and beyond. Fridge and microwave; coffee machine in room also. Aircon can be set to your liking. 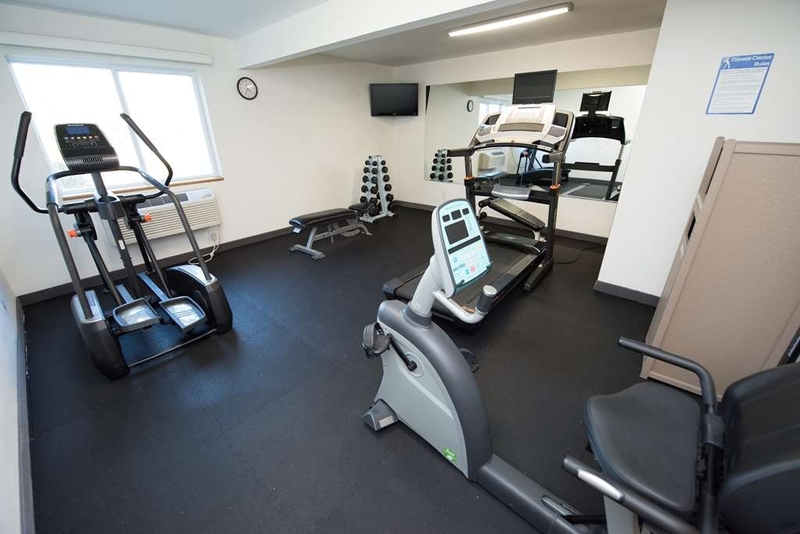 On-site small gym. Also washing machine and laundry. Breakfast included. Close to McDonalds, Donut King. Short drive to nearest Walmart 15 minutes away as well as diners, shops and whatever you might need. Shadyz Thank you so much for acknowledging our Front desk agent and staff. We appreciate the great recommendation and comments you shared. Thank you too for the 5 star rating. Thank you for your review and rating. We are happy you were able to enjoy our facility during the nasty weather! We hope you will be able to return and take advantage of our hotel in the future. "Great motel not so great on cleanliness or repairs"
Had a very long week, was looking forward to an relaxing evening in the jacuzzi suite. I walked in the room was ice cold, the room was very dusty, the commode was totally disgusting ( had not been flushed) the toilet seat was ready to Fall off and the jacuzzi was also very dirty, I had to clean it myself before I used it. Other than that the motel was great! Thank you for your taking time to review our hotel. Unfortunately, if you were mistakenly put into a room that was not cleaned, I apologize, however, you should have called the front desk to alert them. We would never expect our guest to stay in a room unprepared. I am sorry you did not contact the desk to move your room. I hope you will return and give us another opportunity to serve you in excellence. Nice hotel directly off the highway. Clean and comfortable. Great breakfast buffet especially if you have gluten-free requirements. Thank you very much for that. The hotel receptionist was phenomenal. Mitzi you were fantastic even when we arrived at a later hour. You were attentive, friendly and sociable. The breakfast attendant was equally friendly and welcoming. Will stay here again. We just spent 3 nights here (over Christmas). The inn is not new, but it was clean and surprisingly quiet, since it is also quite close to the Thruway. 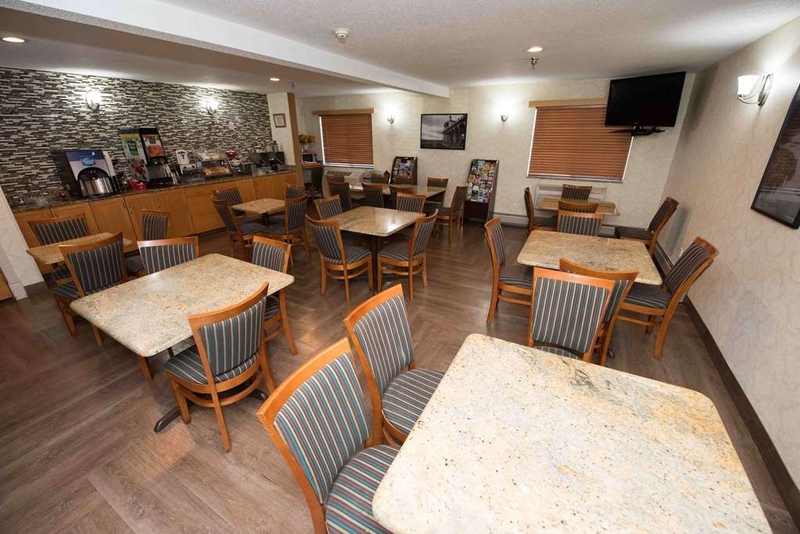 But what impressed us the most was the care taken by the staff: lovely decorations, a breakfast that, while not greatly different in offerings from other motel breakfasts, was carefully prepared ---and all the staff we met, from Katarina at checkin onward. It was good value for the money and our room had all we required. We will return---the people make the difference! Shelby Thank you so much for the wonderful review and recommendation! It is our pleasure to serve you and our other guests. We appreciate your kind words and hope you will return to visit us again! "Poor 1st impression, but after great"
I booked a king suite for a small pool birthday party. The one they gave was not a very spacious, room 200. There isn't an elevator and i am handicapped, but managed. Nice pool, wonderful breakfast and breakfast service, friendly staff, clean, and pleasing decor. Hotel is very outdated, typical off interstate type of hotel. Was checked into my room and prior guest food in refrigerator and clothes in closet. Next day someone was checked into my room walked in while i was getting changed. Hotel during hunting season full of hunters and dead animals in the parking lot. Hotel is in the middle of nowhere. I will never stay here again. rory Thank you for your review. I apologize for any oversight in relation to your stay. "The absolute worst customer service ever"
DO NOT STAY AT THIS HOTEL! I literally can't believe the horrible customer service received by this hotel. I have worked for Hyatt & Marriott, I travel a lot, and I promise you you will receive better customer service at a motel 6 than you will here. I sent in an online request for a room block since we were in town for a wedding and it was like pulling teeth to get a response. Finally the manager calls me back and she said she can't really give me much of a discount because it's too close to the date. Fine no problems there. I went ahead and made my reservation and unfortunately had to call the hotel for a couple things after the fact. Every single time I called they were extremely unprofessional, everything I asked for was an immediate "no". I understand sometimes hotels can't accommodate special requests but there is the proper way of turning down a customer's request and there is a rude and unprofessional way and they definitely picked the rude and unprofessional way. I decided to reach out to corporate, what a mistake.. apparently they don't like that at all. Because instead of getting a call back apologizing they called me back and told me I am not longer welcome at their property and cancelled my reservation. The manager was unspeakably rude, wouldn't let me explain, she literally didn't want to hear it. Next thing you know I had a cancellation email. I literally called back and pretty much begged them for my reservation back, there aren't many hotels close to the wedding venue and we had other people from the wedding staying there. They refused. So I went ahead and had my boyfriend make my reservation for me. Fast forward to the day that we checked in. All is well but the water coming out of the faucets is brown... absolutely disgusting. I called the front desk and they said to run it and it will get better. It didn't. I finally had the time to call the hotel today and asked if they can issue me a partial refund due to the disgusting water. He told me only the manager can approve it and they don't work on weekends (today is Friday) so I asked if Friday is considered part of their weekend and he said yes. That's when I called my credit card company to dispute part of the charge and realized they charged me a $200 fee for smoking - I am still waiting on the evidence of this which I sure there is none. And if they do have photos I'm sure it's form a previous guest and they are only doing this because they didn't want me in their hotel to begin with because I can guarantee that it wasn't from us. About an hour later I received a call from the manager (same on that was supposed to not be in today because Friday is a weekend) she said I stayed there when I wasn't supposed to and this is exactly why I they didn't want me to stay there because they knew I would complain - the only thing I'm complaining about is the brown water which I think any person would complain about. She said she will get back to me on Tuesday and see what she can do for me. I asked why Tuesday? She said because I waited two weeks to reach out to them. They seem to be in the business of bullying people instead of helping people.. I called corporate, they cancelled my reservation. I called two weeks after my reservation to complain, she's making me wait till Tuesday for her response. I literally can't believe this hotel is still in business. I also tried to reach the owner on numerous occasions even went as far as sending him a message in LinkedIn - no response. I am pretty much not expecting this horrible hotel to do anything for me - I just want the world to know that they should avoid them at all costs. This place is in need of a remodel. The water treatment system is in need of an upgrade. Brown tint and suffer smell. ( What's up with that). Shower would make cracking sounds when used the bottom was off. The beakfast coffee (remember the water). I know not to expect much for breakfast, but it's not worth giving a try. Two stars were for be clean. Ted Thank you for your review and rating. I am sorry for any inconvenience you experienced. We hope you will return and give us another opportunity to serve you. Our stay was very nice and comfortable, we had a jacuzzi suite, the bed was very comfy, breakfast was great, fresh and the breakfast stuff was very helpful although it was very busy. Front desk was very nice, friendly and helpful. Room was clean and neat, the only problem we had it the jacuzzi had yellow water no matter what we do. We reported to the front desk they were willing to send someone right away, but we refused it, we were checking out anyway. We stayed for a night and it was a very good stay. Hopefully the management will fix the issue with the yellow water at some point. Overall the stay was satisfying. ???? "Nice value for the price"
Conveniently located to I-87 and to attractions in the Hudson River Valley and western Massachusetts. Breakfast is good and the staff keeps it well stocked. Found the staff to be friendly and helpful. Our stay was quite possibly the best hotel stay we've ever had. The beds were the closest to our own at home that I have ever encountered while away. We left the DND on our door as we were staying for several days and didn't feel it necessary to have the room serviced but housekeeping left a bag on our door each day with fresh towels and toiletries which was above and beyond my expectations. The great reviews I read prior to booking our stay are spot on and well deserved! "Highlight of my Baltimore Trip"
I wasn't a big fan of Baltimore while I was visiting, so I was more than happy to stay at this hotel for a full day to kill time before leaving the next day. The interior design is pleasant and it's a quiet hotel. The rooms are gorgeous for how much you pay, and there's plenty of ways to kill time in the hotel. There's a gym, computers in the lobby (in case you didn't bring yours - like me! ), and lounge areas. I wish I'd known there was a pool, because I definitely would have spent time there, too! What's nice is this isn't an overly busy or crowded hotel, so often times, you find yourself to be the only one in a particular area. Plus it's in a nice and quiet part of Baltimore and near a gas station and a few small diners. Dear Keisha Thank you for taking time and recommending our hotel! We so appreciate it. We hope you will be able to return and bring your bathing suit to lounge at the pool this time!! Thank you again for the great review and rating. "Family visit to Saugerties "
We stayed here because of the price compared to Saugerties and Kingston. It was a bit of a drive but worth it for what we paid for 5 nights over Labor Day weekend. The beds and pillows were very comfortable, and our room felt pretty clean overall. The hotel itself is a bit outdated, but again, for what we needed and the price, no big deal. The breakfast is ok, but don't drink the coffee- it's pretty bad— there's a Dunkin Donuts a while away. The only other negative is that it takes several hours for the room to cool down after you arrive.. felt very stuffy and warm when we got there, but the a/c will cool down. Thank you for your response and rating! We are happy we were able to serve you and hope you will visit us again when in this area. Our reservation made through TA third party, Destinations (we didn't know, don't judge), did not go through. This hotel is in high demand, yet the Front desk Clerk, Gail, gave us a room, and then spent several hours trying to fix the screw up. She was tenacious, and got the proper resolution. Can't say enough good about her exceptional customer service! Our other interaction with staff was with the "breakfast lady". Failed to get her name, but she put out a top level breakfast, and stayed in the area the entire time to make sure everyone stayed fully satisfied. The customer service at this hotel rates as the highest! The room was clean, a/c not noisy, standard supplies. Did we say the customer service was exceptional? Price was fair, location quiet. We've already made a reservation for the next time we're going out that way. We will always stay here, and suggest you do to. Davidcherylb Thank you for the great rating and review. Making reservations on line can be confusing for us all with the many sites that are out there. I am happy Gail was able to help in this situation. This one was new to us also! Thank you for your patience with us trying to figure it out. We are happy it turned out positive! We stayed here for several days for a funeral. The hotel staff was very accommodating about our 1st floor request. Family members occupied six rooms. The room was comfortable and quiet. Barbara who ran the breakfast area was so helpful. She would push tables together so we could all eat together. She would clear things away and make sure everyone had what they needed. She was just so nice and pleasant. The night desk clerk was also super nice. He let us use the breakfast area for a pizza dinner. That was the only way we could have all eaten together. The staff made a difficult time so much easier. Charlesc285 We appreciate you taking time to respond to a survey in regard to our hotel! We thank you for your recommendation and were happy to help in any way we could. Hotel Clerk Harold was wonderful. He was knowledgeable with all questions of area and places Gave honest opinion on restaurants. Clean rooms, with everything in working order. The stay was pleasant in every way. DB Thank you for the five star rating. We appreciate you mentioning our clerk and property. We hope you will be able to return when in this area again. 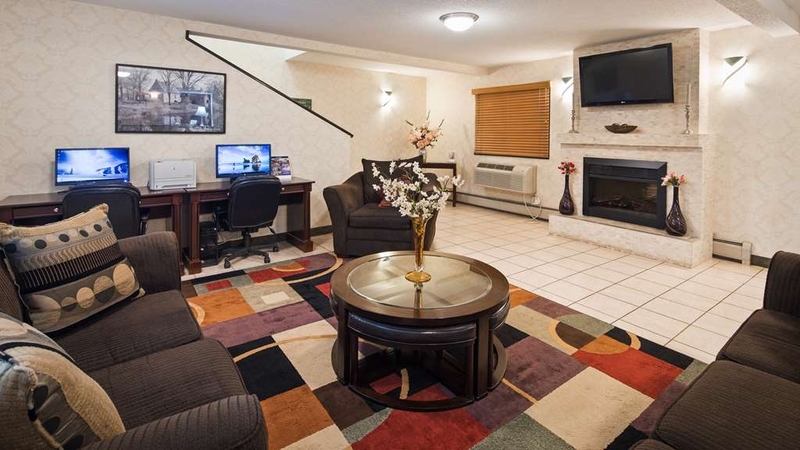 "Excellent stay for a very busy weekend"
Clean comfortable extended stay room on first floor. Good and plentiful breakfast. Very very helpful staff (Michelle at front desk.) Well located just south of Exit 21B of the New York State Thruway. DON'T depend upon GPS to find hotel. Address does not enter. Note: no elevator for second floor rooms if handicapped. Sherry Thank you for the great rating and review. We appreciate your patronage and hope you will be able to return and visit again. "Overpriced - no concept of customer loyality - Albany just down the road"
If your a Crown Member - don't expect anything from this management. NO EVEN A BOTTLE OF WATER ! Honestly - this motel doesn't get it - lodging is a tough, competitive business - return business is its life line. but NOT here - being next to the Interstate - they simply don't care about you or me. 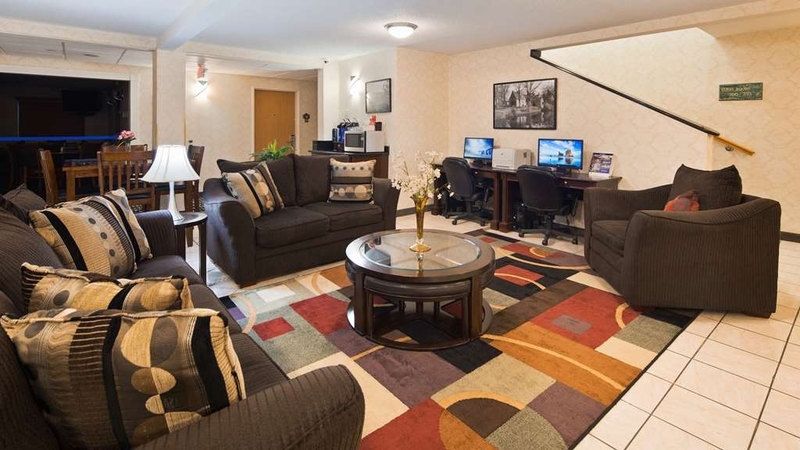 Support a motel that does - Best Western Albany Airport - worth the extra drive. Thomasedwinn thank you for your review. Unfortunately, I am unable to find you in our guest history. But there does seem to be some confusion in regard to Best Western Reward members. As a member you do get the choice of 500 points or two bottles of water and snacks. I am sorry if there was any misunderstanding. "First time really disappointed in a Best Western"
We stopped here overnight while traveling to New Jersey. The major problem is the cleanliness of the rooms and the noisiness of the hotel. The room was superficially clean but there were spots on the wall, on the carpet, and unfinished paint where repairs had been made. The bath has a new insert but because of the soft water it was very slippery and I had to be very careful taking a shower not to slip. The beds were harder than most Best Westerns. The rooms are not well insulated, and we were up during the night because of the folks upstairs who kept walking around their room from 2-3:30. While this is not the hotels fault, the fact that we could hear it so clearly was a problem. 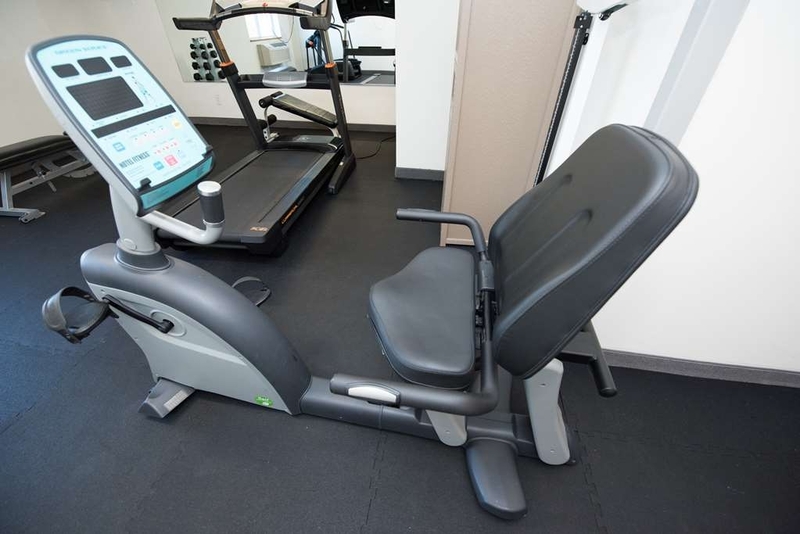 The gym was poorly maintained with old or broken equipment. The staff however was very nice, they were friendly and helpful. Breakfast was the usual fare for Best Western, but on the lower end in terms of quality. 638annemariem Thank you for reviewing our hotel. I apologize for the condition of the room. As you can see by our other reviews, that is not the "norm" for us. Unfortunately, with anonymous reviews, I can not check into the issues not knowing the room in question. I hope you will stay with us the next time you are in Coxsackie. I can assure you we will do everything we can to make your stay a comfortable one. It was hard to find a place we could afford in the area we were visiting, this was kind of far away, but more affordable. The bed was super comfy, luckily we bring our own pillow though. The pillows were super fat and terrible. The employees were really nice, friendly and helpful. cia90pa Thank you for reviewing our hotel. We appreciate your recommendation. The hotel is pretty much the only nice place to stay in this small town. The desk staff was very friendly and helpful. The room wasn't anything special but it was clean and the bed was pretty comfortable. I stayed for one week while my husband was here for a month working in town. They were very accommodating to him while he was a guest. CTraveler32 Thank you for the great rating and your review. We were honored to be able to serve you and your husband while he was working in our area. We appreciate our guests taking time to review and recommend us. Thank you again and we hope you will visit us again the next time you are in the area. "Wonderful Trip To the Catskills"
As always wonderful experience for my 3 day trip. Room was immaculate. Bed was comfy. People at front desk helpful and professional. Pool is always sparkling as is hot tub. Breakfast is great with waffles,various fruits,yogurt,eggs,bagels,sausage and they even have 2 kinds of almond milk. Best of all as a female guest traveling alone I always feel safe at this hotel. Dear Margueri Thank you so much for taking time to review and rate our hotel. We appreciate your recognition of our staff and our facility. We are mindful of our guests and their safety so it is nice to have you mention that too. We hope to see you again when you are in the Coxsackie area. "Great amenities for family travel"
We traveled from NYC to Catskill for a wedding and stayed in this hotel for one night. It was clean and simple for our stay with our 8 month old child. 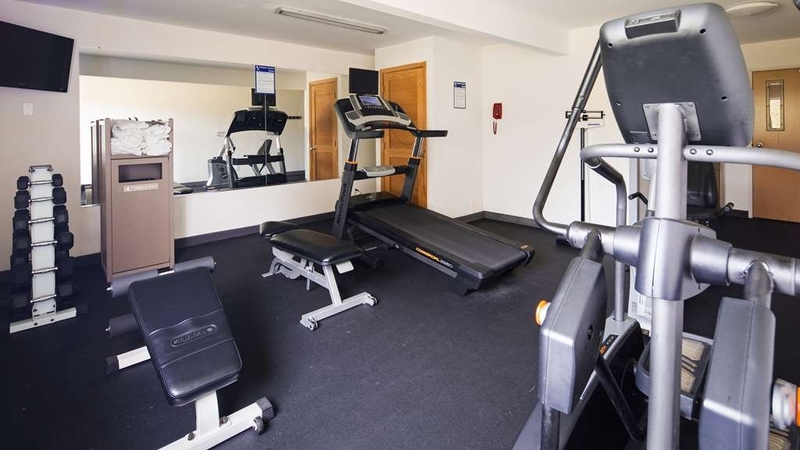 I was happy with the amenities: a refrigerator, sink outside the bathroom, and even stove top burners in the room as well as a gym and pool in the hotel. The breakfast was simple, but I was most impressed by the friendliness of the woman who worked there and made it feel welcoming. My husband gave it a four star rating (which is high for him!) and we would recommend it for a simple yet comfortable place to stay. Dear Abby Thank you for your great rating and review. We appreciate your recommendation and hope you will be able to visit with us again in the near future. We stayed overnight because of my husband's delivery times. The front desk staff were beyond friendly and called my room to make sure it was acceptable. The mattress was really, really firm and the room clean. Towels are good quality and don't have any bare spots. The breakfast lady was nice, she nicknamed me northern lights because of my hair, it added a nice personal touch. The breakfast was good, home fries, eggs, crushed bacon for the eggs, sausage, and typical pastery and cereal layout. I didn't expect the staff to be so warm and welcoming I stay in hotels a lot and they are a refreshing change. Dear Krissibx We would like to thank you for your kind words and great review. We appreciate the five star rating we strive for with all our guests! We hope you will be able to visit us again. I recommend this hotel.The room is comfortable and it is located not far from Albany or from the charming towns of Catskill and Hudson ,NY The room was very clean and all the staff very helpful and they know the area well and can give tips on dining and driving routes. In addition it is not far from I 87. The price was good for this location. EmmyFortLauderdale Thank you for your 5 star rating. We appreciate our guests taking time to write a review an offer recommendations. Thank you again and we hope you will visit us again when you are in the area. Very good people working here and they go the extra mile for you.It is nice to see the same folks as the last time we stayedd here.The uusual turnover is definitely not a problem here. We visit relatives frequently and always stay here. Christy did a good job cleaning our room. Not the fault of Best western but the halls were noisy when we trying to sleep at 11:30 p.m. Thank you Carol for the 4 star review and great recommendation! Great folks and a good room! We had a pet friendly room that was in a good location to take the dog out. We will stay there again in the future. Breakfast was set up on time and was good so we could start our day early and not have to stop down the road. Thank you Rich for taking time to write a great review. We appreciate your 5 star rating and hope you will be able to return the next time you are in our area. Your patronage is appreciated! Ericag1 Thank you for your rating. We appreciate your review and hope you will come back when you are in our area. This Best Western was amazing. It is close to Thruway and not too far away from local restaurants. The breakfast was fresh and a good variety was good. All staff is pleasant. Especially Ryan H. who was helpful with a slight discrepancy. A very knowledgeable staff member. Thank you very much Ryan. Maryann B Thank you for your great review. We are happy you enjoyed your stay. We hope you will return if you are in the area. "Good for overnight stay off NY Thruway"
Went up for wake/funeral in off season March-clean, comfortable bed adequate for what we needed. The walls are very, very thin/ no soundproofing. Swear there was a Sumo wrestler in shower above me-heard every footstep and creak of sub-flooring! They serve breakfast typical cereal, breads/muffins, yogurt and powdered eggs they made come back to life! Thank you Iswider for your review. We appreciate your opinion and are sorry we did not meet your expectations. We hope you will offord us another opportunity to host you the next time you are in our area. "good for the money. very warm pool"
Basic hotel with no elevators. We just asked for a first floor room no problem.Clean, friendly. The breakfast was ok. They had the usual breakfast foods.The pool was the best part. I have never found a hotel pool to be as warm as this one. It went from 2-5foot and at the deeper end had a seat along the end. It wasn't a bad hotel just not much in the area. If you drive about 30 minutes there is a little more. We went there just to get away and swim so it was exactly what we were looking for. It's very close to the highway and some reviews said they could hear the traffic. We could not. We did hear the hallway noise. Dana Thank you for your great rating. We appreciate your review and are glad you were able to enjoy our facility. We hope you will be able to return in the near future. Rooms always clean. Staff always friendly and helpful. Breakfast is tasty and many selections to choose from. I stay here frequently and will be staying again soon.I always feel safe here even when travelling alone. Margueri Thank you for the wonderful review and rating. We appreciate your patronage and are always happy to welcome you back!! Thank you again. "Great bed, clean rooms, helpful staff"
Thank you Indispenzable for taking time to review our hotel and rate us. We are happy to hear you enjoy our new mattresses! We hope you will be able to visit us again the next time you are in the area. Very friendly staff that is very attentive to their guests needs. Clean and quiet place to stay with full yummy breakfast. I highly recommend this hotel. Looking forward to going back for my next stay. Dear Donna Thank you for the awesome review and rating! We appreciate you taking time out to review our hotel and want to thank you for the staff recognition. They do work hard to serve our guests. Your patronage is important to us! Thank you again. "Always a Stress free stay"
Was greeted as soon as I walked into the lobby and asked "what can I do for you today"? While checking in, staff explained the hours of the gym,pool and free breakfast. Room was cozy and clean with a bed that was extremely comfortable. I'm a regular at this property around 6 times a year and haven't been disappointed yet. Frank Thank you for your review; we appreciate the great rating! Our "regulars" are always a pleasure to see and serve! Thank you also for your patronage and loyalty to our hotel! It is a pleasure to hear from you. Stopped overnight on route to final destination. Outward appearance of hotel basic. Front desk clerk friendly. Room was clean and looked like paint, carpet, etc. had been updated recently. Mattress was not the most comfortable but slept well. Breakfast was excellent with fresh scrambled eggs, sausage patties, home fries, a waffle iron to make your own waffle, bagels, bread and bakery items as well as cold cereal choices. Staff person in breakfast room was very helpful and friendly. If using GPS to find hotel, Exit the highway at Route 9! GPS did not direct us to exit. Said "Arrived at destination" as we were driving by hotel on highway. We had to drive 13 miles to next exit so we could turn around and drive 13 miles back! I have stayed here a few times. It is relatively clean and comfortable. It is a difficult area to get motels that accept clc cards. Given the area is remote, you have to drive to get food and restaurants are limited. Ice cream bars were left in freezer from previous guest . Dear Paula Thank you for your rating and review. We are happy to participate in CLC and appreciate their patronage. Although we are in a country highway setting, the local restaurants are within a one-two mile distance with hotel delivery offered by several. I hope you will be able to visit us again when you are in the area. We showed up, thought we had a reservation, though we didn't have a confirmation number, and were saddened to learn we booked a room for the wrong night! They were almost completely booked, except for one King Jacuzzi Suite. The front desk gentleman was able to work with us and our error and we got our room. The room was very large, clean and so comfortable. We definitely used the Jacuzzi the next morning. The water was a little rusty colored, so we drained the tub and let it run again. It was small but so nice to have. The hot breakfast service was superb - sausage AND bacon! The woman working the breakfast area was so nice and cheerful, greeting all of the guests and getting to know them. Overall, we thoroughly enjoyed our room as well as the staff's service. Meghan thank you for writing your review and for the great rating you gave us. We appreciate your taking time to share your experience! We are happy to help accommodate our guests whenever it is possible. Thank you again and hope you will be able to visit again. Uncomfortable night sleep(Bed and pillows too hard). Internet kept turning off. Room deco was nice. Staff have minimum at check in. Breakfast had good coffee but the rest of the food looked over or under cooked. Went elsewhere to eat. Jessica Thank you for your rating and review. We appreciate your time in reviewing our hotel. I am sorry you found the mattress too hard for your taste. We appreciate your patronage and hope you will return in the near future. "Clean, comfortable & solid value"
We stayed for 4 days, 3 nights. For a motel just off the thru-way, everything was fine. 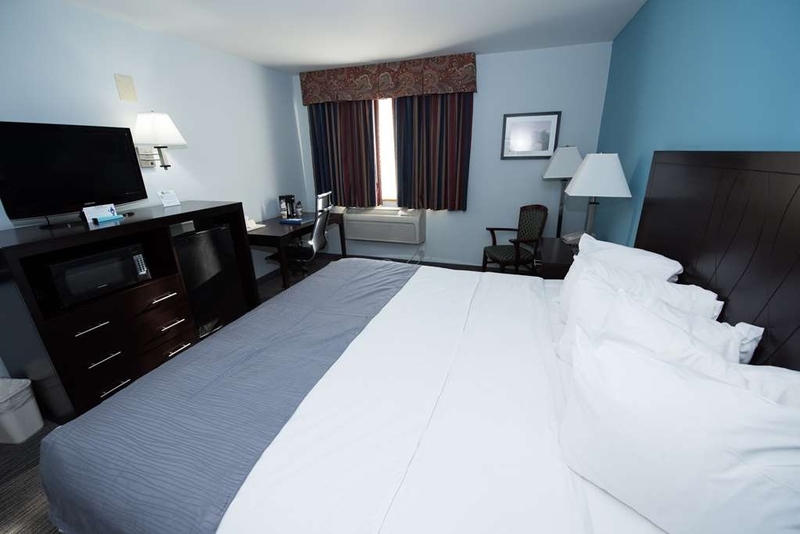 The room was clean, the bed was comfortable, and the staff were friendly, responsive and accommodating. If my travels bring me back to the area, I would stay there again. Thank you Rich for the great review! We hope to see you again the next time you are in the area; perhaps we will be able to improve that rating and get a "5 "! Thank you again!! I have stayed in this hotel a number of times over the past five years. 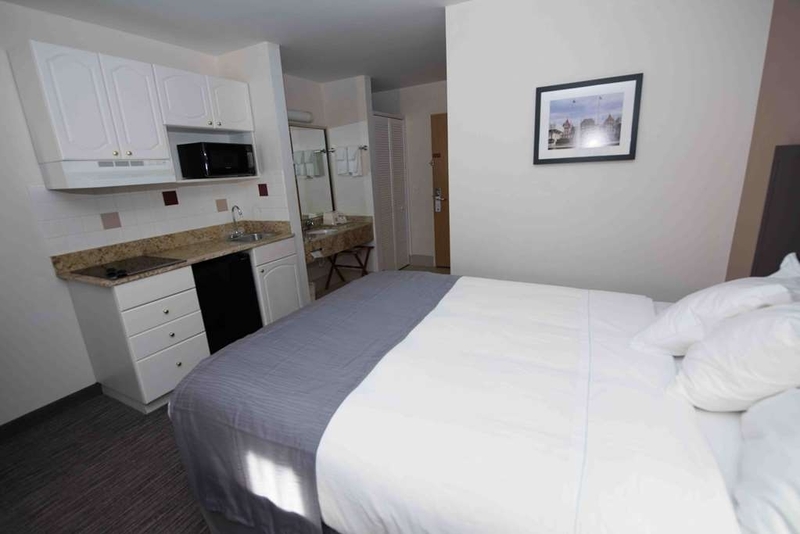 It's in a great location for the Catskills and offers clean and comfortable rooms. They have a pool and spa, which I have never used but looks good. They also offer free breakfast, which is basic but really good. Only had one issue with the air con which was not keeping the room cool which meant I couldn't sleep. I should have complained that night but waited till the morning. To their credit they sorted the problem very quickly. I go the region most years but am finding the $145 a night tariff very steep. I do stay other places to keep the cost of my trip down which is a shame as I like the hotel and it's helpful and friendly staff. Dear Ukpunk Thank you for taking the time to review our hotel. We appreciate your patronage and do hope you will return when in the area. 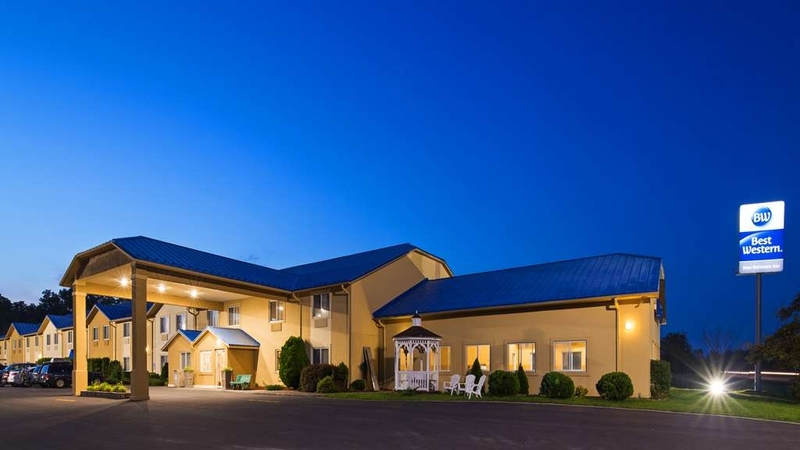 "Outstanding time at Best Western"
I had a Outstanding stay at the Best Western at New Baltimore Inn, West Coxsackie, NY The staff was Friendly and very helpful. 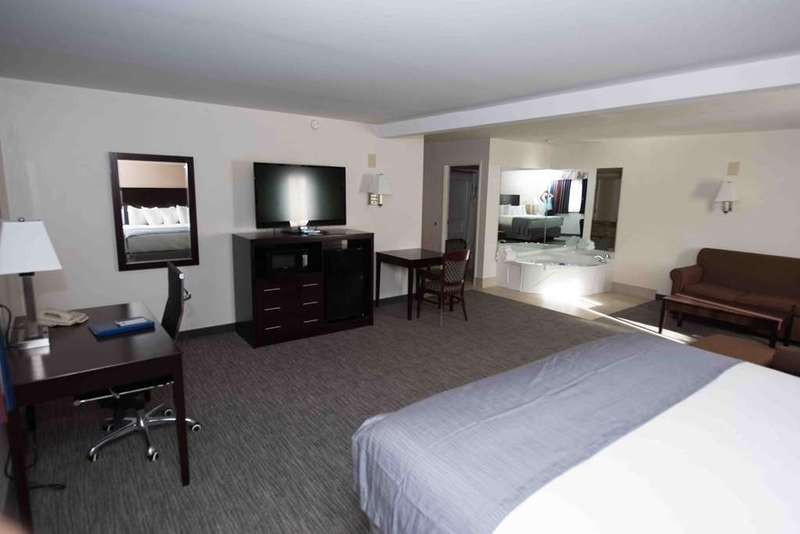 The room was very spacious and with the Jacuzzi was great and the value was worth it. Dear A5786EMraymondc I would like to thank you for the great review. We are happy you enjoyed the suite with the Jacuzzi and hope you will be able to return to enjoy it again! We appreciate the fine rating you gave us. I thought this hotel was overpriced for the quality and size of room. We only stayed because there was a block of rooms reserved for a wedding we attended. I wish I had taken the time to look at the area for something less expensive. The room definitely needs some renovation as the bathroom floor tile was grubby and lots of nicks and dings in the furniture and woodwork. The bed was pretty uncomfortable, very hard. The desk clerk was friendly and had a pleasant attitude and the buffet breakfast made the room a little more affordable. The front door of the hotel was difficult to find - I actually thought it was a back door. There is no bar or restaurant there. Dear Jerseyjunior Thank you for your comments regarding our hotel. I am sorry you were so disappointed in our guest rooms. We actually completely renovated last year so it is disappointing to hear this. We appreciate the kind words regarding our staff. "A Great Place to Stay Exploring the Catskills"
My room was a double queen. It was good sized and had ample chairs for me and the person with me. The bathroom was modern and clean and the TV worked just fine. In addition, the staff could not have been friendlier. They greeted me and offered many suggestions for places to go for dinner. The next day, they asked where we ended up going. Also, when I had troubleusing one of the key passes on an exterior door, they were on it immediately. Literally, I was not back in my room a minute before someone was checking it. Finally, though the NYS thruway runs quite close to the property, there was surprisingly very little noise. You really get the impression you are out in the country, of course, you actually are. There are some nice, reasonable restaurants nearby. Dear SJJLP Thank you for your rating. We appreciate your great recommendation of our hotel and staff. It is always nice to have guests acknowledge the great staff we have and the job they do! We hope you will be able to return the next time you are in this area. No issues with the room or beds, etc. But I came expected to have a working TV to keep my kids busy for a little bit, while I could then get some work done online. Because TV and internet were not working during the evening, I was not able to do any of that. I reported the issue, was told that the front desk was on hold with the cable company, but there was no follow-up regarding the issue, including at check-out, and no expression of understanding at the inconvenience this caused me. I would have rather stayed in a cheaper/smaller room at another hotel if I knew it would have working TV/internet. Dear 331devendrat Thank you for rating our hotel. I apologize if you felt our clerk was inconsiderate. We are in the hospitality business and would never want to neglect our guests. Unfortunately, with the cable out in the whole area the front desk was bombarded with phone calls. I am sorry with all the confusion he did not call you back. "Kayaking Trip in Hudson River Valley"
Very pleased with the size of our room, cleanliness and maintenance. Room had a kitchenette, microwave and mini refrigerator- more than we needed for our stay. Desk staff was friendly, efficient. Most motels provide a one-use sized bar of soap; at this BW the bath soap was larger and actually lasted more than one shower. One complaint that I have - and which I have of most chain motels - is the quality of light in the vanity/bathroom areas. Shaving, makeup application requires brighter light. Hi Bonnie Thank you for your great review and rating. We always appreciate hearing from our guests as we try to offer the finest service our guests deserve. Thank you for your comments and suggestions to help us better facilitate that. We hope you will return and stay with us again during your next kayaking trip on the Hudson! You would think that spending hundreds of dollars to sleep for two nights somewhere would get you a nice bang for the buck. Not so here. Room was pleasant but small. OK. Not the end of the world. But friendliness of check-in staff? Nonexistent. Borderline rude. Obviously not liking her job! Heavy dust in some areas of room. Room had adjoining door to next room. Of course we could hear casual conversation with that setup. Sinks not located in bathroom - in hallway area instead. Inconvenient for sure. In addition, adjoining room sink butts up to ours, so every time someone used the sink the pipes emitted a LOUD sound. I took advantage of the very small Jacuzzi tub, but the water was literally BROWN. So gross. Would not recommend this hotel. Dear Sandra Thank you for your review and rating. I am sorry you were so dissatisfied with everything about us! 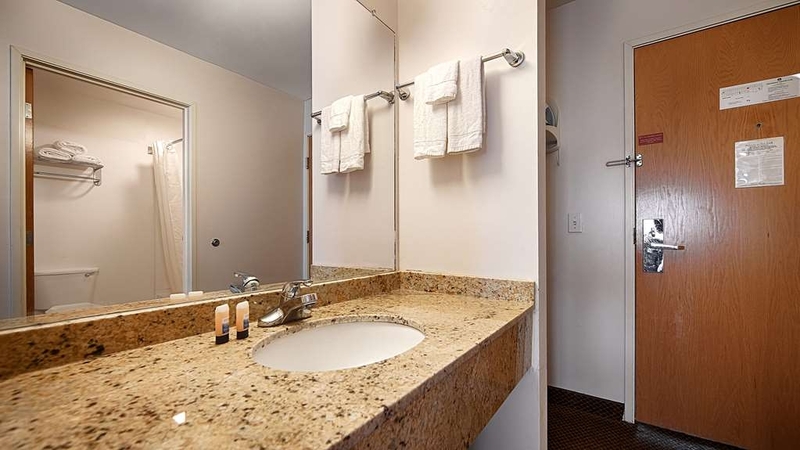 Our rooms are of the design with sinks outside the bathroom- Some people prefer that while others don't. I am sorry for any inconvenience you may have experienced. Overall very satisfied. Hotel convenient to main roads. Beds were very comfortable. They do not have an elevator. Breakfast is good and nicely setup. Only one computer worked in the lobby. Suggest they have up to date information on local restaurants and menus. Dear jillmC6189QK Thank you for your time in reviewing our hotel. 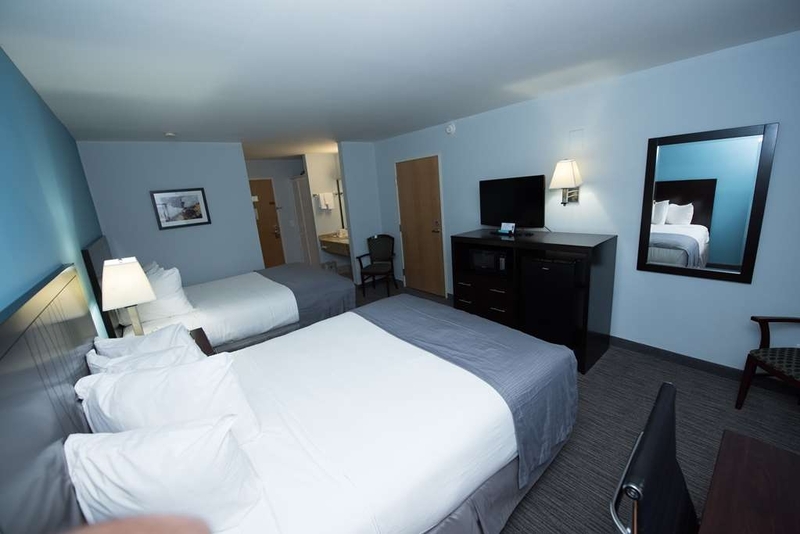 Our beds are new along with everything else in our guest rooms so we are happy you were comfortable! Our guest directories in the rooms are current, however, you may be referring to some that did not want to participate in the book. I apologize for any inconvenience. We arrived late Friday night and left Wednesday. Everyone is very friendly and helpful. Breakfast was very good, plenty to choose from. What a nice warm feeling you get when you enter the hotel. It is so easy to get to. We will be going back next year. Hi Karen It was a pleasure seeing your review and rating! Thank you for such kind comments. Our staff tries to make everyone feel comfortable so I appreciate your recognition of them. We certainly look forward to your return next year! Thank you again for taking time out of your busy schedule to write this. I have been staying at this hotel at least 1 time a week for the last several months and will continue to do so as long as I am in this area. I like the benefits of a diamond member and will continue to try to find a Best Western whenever I have to stay away from home. Business or for Pleasure. Dear Chris Thank you for your rating and review. We appreciate our frequent guests and Best Western reward members. We are happy you have found us and chose to stay at the Best Western New Baltimore Inn. 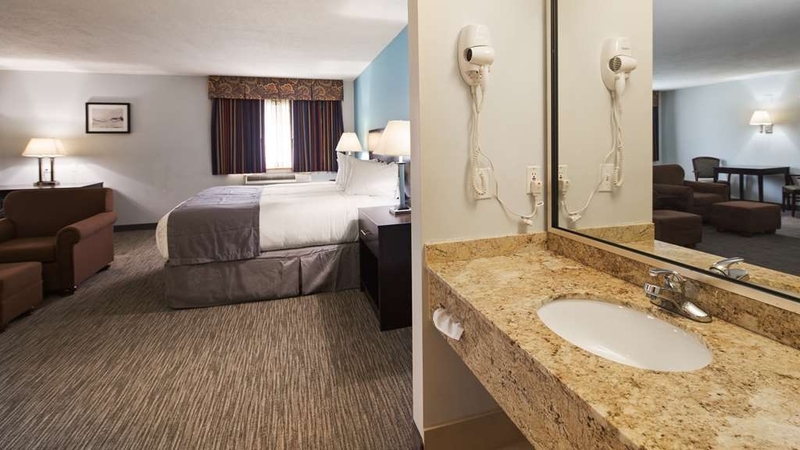 We hope you will think of us as "your home away from home"! It is our pleasure serving you. Thank you again for taking time to write this review. 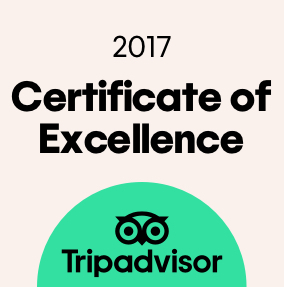 Stay here about 6 times a year for the past five years or more and it's always a pleasurable stay with helpful and friendly staff. Pool and hot tub are always cLean and well cared for . The breakfast is pretty good as well . Dear Tamara Thank you for the great rating!! 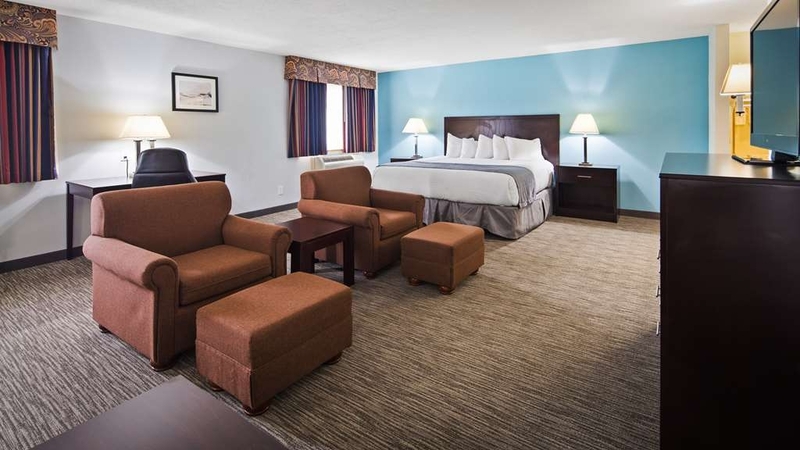 We appreciate your patronage and are grateful you choose Best Western New Baltimore Inn for your lodging needs. Thank you also for mentioning our staff. We enjoy serving our guests and it is nice that you acknowledged them. 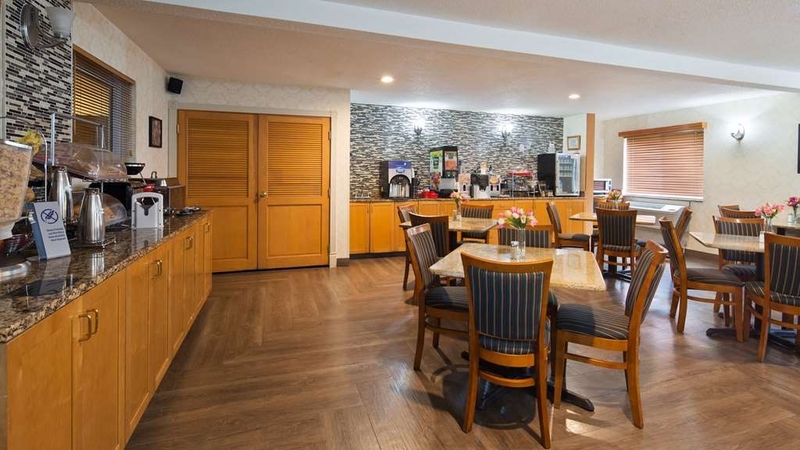 "Great Service, Value Incl Free Breakfast"
This is a great place to stay. 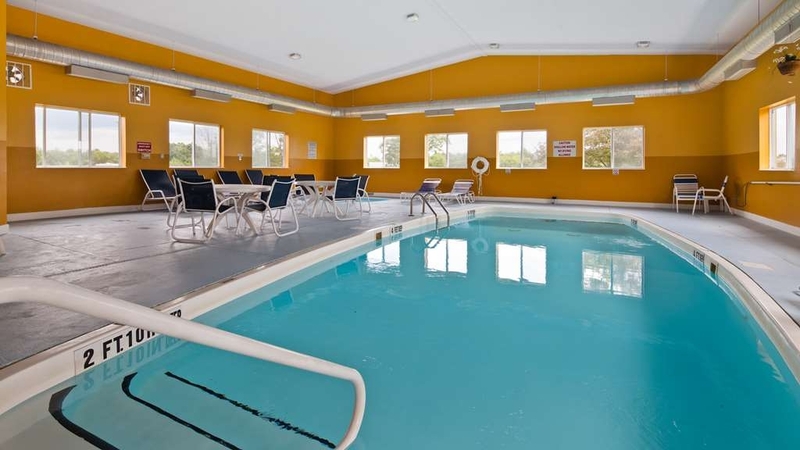 The motel has easy access and the staff make you feel welcomed and are very helpful in every way. We plan to stay here again in the future and would highly recommend this motel. Thank you Ron for the great rating! We appreciate the kind words regarding our staff and look forward to your return visit. Thank you again for taking your time to recommend our hotel- it is greatly appreciated!! Unfortunately, if you are visiting the Athens area, there are only 2 hotels to choose from. The other hotel is the better choice but was booked so we stayed here out of convenience. We should have just driven to Albany. The hotel was filled with loud, partying smokers that spilled out into the hallways and front entrance. People were roaming the halls most of the night, some even had huge dogs with them. We were given a semi-handicap accessible room for some unknown reason. I say semi because it had a regular bed and counters, but a low, odd closet and filthy wheelchair accessible shower with a bent up shower chair (and live bugs). The bathroom floor was as sticky as a movie theater's after a full day of shows. We used earplugs to get a little sleep and escaped as fast as possible. I know there are not many options in the area but I'd sleep in my car before staying here again. Dear Chris D Thank you for your review. I am sorry you were so very dissatisfied with your stay! Unfortunately, with social media pages and anonymity, I am not sure when this was. I have looked at our log for any notes regarding any problems for our handicap room and have not found any. I did see a reservation with your first name for this room type two weeks ago. The reservation was made on line for the handicap wheel chair accessible shower. I apologize if there was any confusion or misunderstanding in making the reservation.. We consider ourselves very family oriented with a staff that works diligently to maintain a clean and orderly environment. I apologize if you found us otherwise. Dear Eric Thank you for your rating. We appreciate the wonderful review! We have recently renovated the hotel and expanded our breakfast line, so it is nice to have guests take time to recognize that. Thank you again for your patronage. "Wonderful and convenient place to stay"
Dear Virginian Thank you for rating and reviewing our hotel. Our location is easy to get to and we are happy it worked for you! We are central for those who would like to visit the Catskills and the Albany area. Thank you again for taking your time to write this. It's your average Best Western. 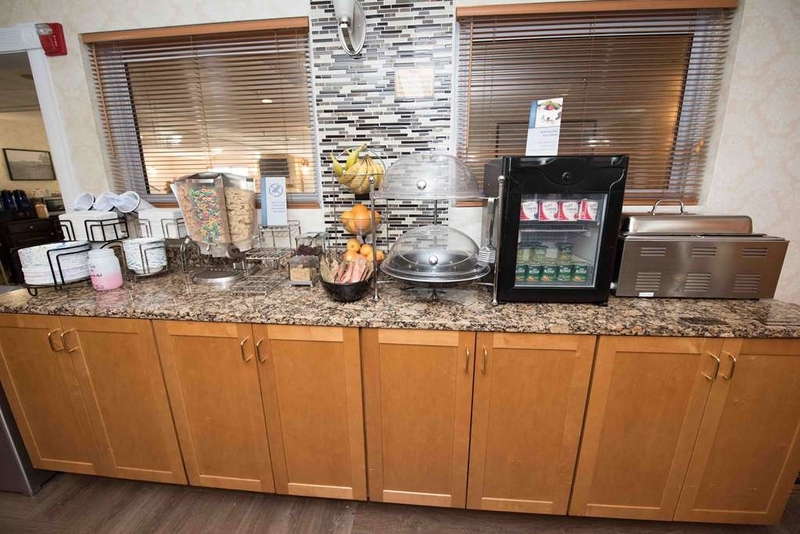 Rooms were clean, bed was comfy, pillows were comfy, water pressure was good in the shower, breakfast was the normal waffle, cereal, eggs, sausage,bagels, yogurt, fruit...I will say the lady tending the breakfast area kept it very clean and stocked. Staff was very pleasant. This BW seemed to be visually nicer on the outside and for the area that it is in. Dear Chris Thank you for reviewing our hotel. We appreciate your great comments and also mentioning our breakfast. I hope you will return and give us the opportunity to serve you another time and hopefully get that five rating we strive for! Dear Emmy Thank you for your rating and review. We appreciate your recommendation. 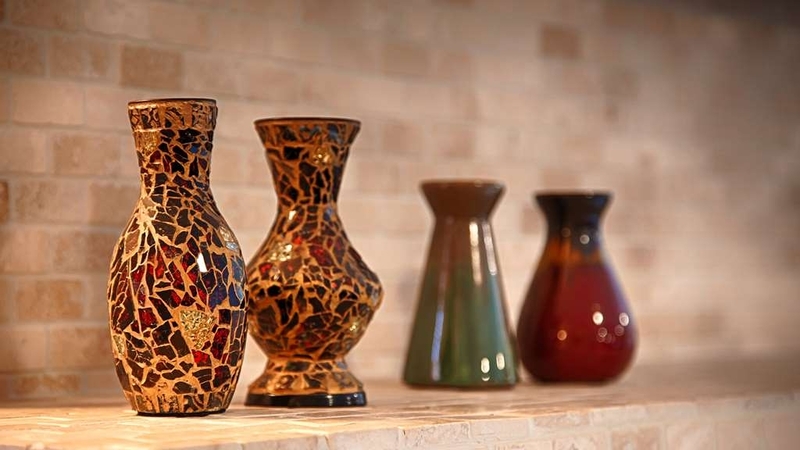 There is a lot of history around our area with plenty of antique and vintage shopping. We hope you will return and enjoy another visit with us! The staff, in particular Ryan and Michelle were so great in meeting all my needs. They are excellent reps of hotel customer service! Michelle went out of her way to accomodate me when I needed a room. I booked at a nearby hotel that it's conditions were horrible. Ryan went out of his way to help me with internet and little incindentals Thank you both! Dear salesman Thank you for your recognition of our staff. They enjoy people and helping to accommodate in any way they can. We appreciate your rating and review. Please come visit us again when you are in our area. Haven't been disappointed with my stay at this property in all the times I've been a guest here over the last 10 years or so. The free breakfast was not a gourmet meal but it was hot and tasty. There is a good variety of items including cold & hot cereal, scrambled eggs, sausage, bacon, waffles, bagels, muffins, juices, coffee & tea. Dear Frank We want to thank you for your patronage and taking time out of your busy schedule to write such a great review! We love having our guests return and hope this feels like "home" away from "home"! Thanks also for mentioning our breakfast. We try to have a great selection of foods for our guests. Dear Impresme Thank you for your wonderful rating. I will direct your suggestions to the proper department. We hope you will return to visit us again in the near future. Does NOT have an elevator so beware if you have a ton of stuff. Breakfast was decent. Staff generally nice. I did not receive my gift upon arrival. No newspaper available. Room was decent and what to be expected for the price. Thank you cocktail247 for the great rating! Although we don't have an elevator, we try to accommodate our guests who may not want to do stairs. Anytime you call in the future please feel free to request the first floor- we would be happy to serve you with that request! Thank you again for your patronage. "Needed Place close to Hospital "
While my uncle was in hospital in Hudson, NY we needed a place that was close by and we found this Best Western to be very clean and staff was accommodating. Hotel actually is also close to Albany Airport if you need to fly in going to area and going south. Dear Buddymypal2 Thank you for reviewing our hotel and rating it so high. We appreciate the kind words and hope you will remember us if you are ever back in this area. We would love the opportunity to serve you again. First time stay at your hotel and will definitely stay with you again when we return to the area. Clean and very well kept facility. Great staff! Good breakfast too. 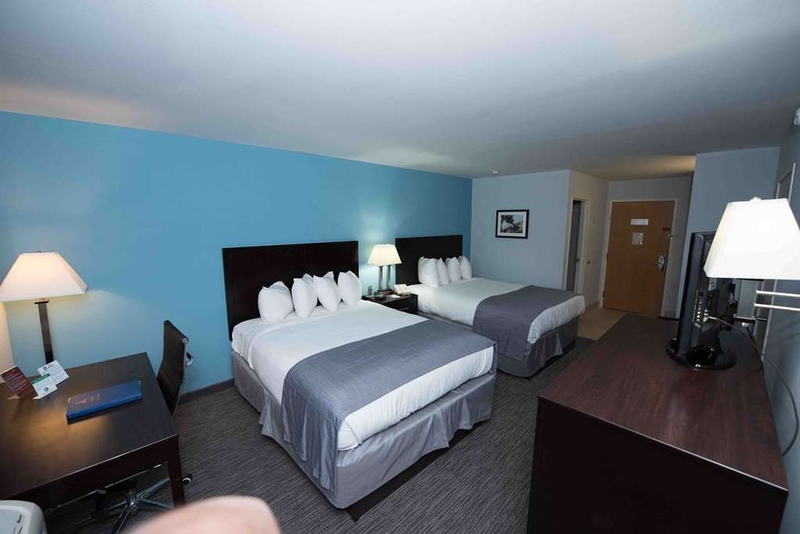 Hotel has been recently renovated with good amenities. Dear fredf504 Thank you for taking your time to review and rate our hotel. We appreciate you mentioning our recent renovation, staff and breakfast. It is always nice to hear from our guests. Thank you again for the kind words. "Finally a decent place outside Coxsackie"
Dear Bonnie Thank you for taking the time to rate our hotel. We appreciate your kind assessment of our hotel and staff. We hope you will return to the Best Western New Baltimore Inn the next time you are in the Coxsackie area! This hotel charged me $150 extra without informing me. I found it out only when I looked at my credit card monthly statement. I thought it was a duplicated room charge. I called the hotel, the front desk told me it was not room charge. It was for something broken in the room. I asked for explanation and I was told only the manager knows and the manager was not available. So I was asked to leave my phone number so the manager would call me back. I waited for a month and didn't hear anything. So I called again. The same gentleman at the front desk answered my phone. He said the manager was busy and couldn't talk to me. He promised this time the manager would call me back. The manager didn't call me back either. But a couple days later I received an email with a photo of broken closet door. There was no single word. I am a seasoned traveler. I always inspect my room at check in and check out for anything broken, anything dirty, and to make sure not to leave anything behind. I know I didn't break the closet door. So I called Bestwestern customer service to contest the charge. A corporate customer rep called back the second day saying that a hotel employee cleaning the room found that the closet door was broken so it must be me who damaged the door. The question is, why didn't hotel contact me on the same day about the damage? Why did the hotel impose the charge days later without the basic courtesy of informing me? I have been traveling for over 30 years and stayed in countless hotels. Such a bizarre incident never happened to me before. I will never stay at this hotel again. Dear yufeimail Thank you for you review. I am sorry for any misunderstanding regarding this situation. I would like to take this opportunity to share our hotel's policy regarding our preparation and release of rooms to sell. Our housekeepers enter rooms at checkout and note and report any problems to the property manager. It is at that point that additional charges for smoking or broken and missing items would occur. As you know, all guest sign a registration that states this. The room is then cleaned and repairs made as needed. All rooms are then rechecked by two managers, the property manager and the housekeeping manager to make sure everything is in working order. The rooms are then given to the front desk to sell. As you can see, if a closet door was broken and split in two, the room would not be sold. I am sorry for any confusion you may have experienced. We always try to return calls within a three day timeframe, but I was unaware of any phone call prior to this one last week! We checked in rather late. The young man who took care of us was pleasant and friendly. Our bed was very comfortable and the room was nice. Coffee was decent coffee for standard breakfast fair. We did not eat as neither one of us eat wheat products and we were moving out early to get on the road. The hotel is a good one to rest a traveler's weary head. Dear Adria Thank you for your review of our hotel. We appreciate the kind words regarding our staff. We do have a very nice hot breakfast that we hope you will be able to try if you return. We have a variety of choices that do not have to include wheat products. We appreciate your patronage. Thank you again. Unlike the previous night's Best Western accommodation in Cortland, this motel is older, more tired and uninspiring. Whilst the staff were nice enough, the lack of an elevator and the mediocre breakfast choices left me nonplussed. OK for one night, but nothing to write home about. Dear Daniel Thank you for your review. I am sorry you felt we were "uninspiring" and "tired" since we just renovated! All guest rooms and public areas have been completely redesigned and we exceed Best Westerns standard for breakfast. We hope you will give us another opportunity when traveling through West Coxsackie. My husband and I booked this hotel for an overnight stay for business. I should have done more research. First, even after using my best western rewards and an AARP discount, our room tendered to $135.98 Quite pricey for what we had. While i didn't request a handicapped accessible room, I do have a lower back and leg condition that prevents me from climbing too many stairs or walking long distances. The hotel had no elevators and our room was on the 2nd floor so the first issue was me having to climb stairs to my room. Once inside, we found a standard 2 queen bed room, however the sink area was across from the bathroom. This makes it awkward when wanting to wash hands after using the bathroom or even wanting to access the sink after bathing/showering. The other issue was when you turned the sink water on, it had an extremely strong odor. It smelled like Iron to me or some sort of other mineral. Our bathroom was small and the inside of our shower curtain was dirty. It should have been replaced. We also noticed dirt on the bathroom walls and out in the room near the mirror. Lighting was extremely dim/poor even with what appeared to be LED light bulbs and we had to remove a lampshade just to brighten the room to see. The remote for the TV ( which was poor quality, not HD) had a channel down button and something on the channel up button but when you pushed it nothing happened, so all you could do was channel "down" through the stations to change a channel. The only Ice machine in the hotel was on the first floor and involved walking up and down the stairs and half way down the first floor hall to access it. Again, not set up for anyone with a disability. The Pool was on the first floor and at the very end of the first floor hall, so again, if you have problems walking you have a long walk as there are no elevators. The hotel offered a free continental breakfast which we did not attend due to just wanting to check out. This was our first time staying at a Best Western hotel and I have to say I won't be returning. I usually don't leave such a negative review, but there really wasn't anything I could find to be positive about our stay.. They even highlight "safety" in their hotel book in the room but only offer a "safe" for valuables on the first floor. smh. I wouldn't waste your money. Pam B Thank you for your review. Although we do not have an elevator, we are very happy to accommodate our guests who request a handicap room and/or want to be on the first floor. Our handicap rooms have sinks inside the bathroom. It is disappointing you did not offer us an opportunity to change and move your room to a first floor handicap which would appear to have eliminated most of your dissatisfaction. If you are in the area again, it would be our pleasure to have another chance to serve you. Excellent hotel and staff very attentive of issues. Clean quiet rooms, good breakfast. Internet OK until too many guests arrive. Dish network doesn't offer much in programming. Stayed here in Feb-Mar 17. Dear L1530QAroberth Thank you for the great review and rating. We were happy to serve you during your stay in our area. We appreciate your comments regarding our breakfast and clean rooms which reflects on our great staff! Thank you again and we hope you will visit us the next time you are in Coxsackie. We had no reservation but as we got off the highway the hotel was right there. When we got to the hotel it was early so wanted a room with a couch so they gave us a suite for almost the same price as a regular room. The employees were very friendly n helpful. The room was Hugh. In the room there was a king size bed. The bathroom was where the sink was on the outside n tub n toilet in a separate room. There was two nice chairs in front of the tv and to the right a couch. Then behind the chairs was a desk n office chair. Two things I would change is have a light near the two chairs n move the bed where the couch was so light from the door won't bother you. Dear Lorraine Thank you for writing such a great review. We are happy to accommodate our guests if we can. I am glad it all worked out for you. Thank you again for your great assessment. We will take into consideration your suggestion! I could not travel home after work because of white out conditions. Was checked in with minimal hold up. Even when I checked in late in the evening during the storm the person helping me got me into my room as soon as possible. check out was also an easy task. Dear 64carmelom Thank you for taking time out of your busy schedule to review our hotel. We appreciate your kind words and great rating. We are glad you chose to stay with us during such a dangerous storm. "Best Western New Baltimore Inn"
Hotel is ok, but hot tub was not working, and none was care to get it fixed. Breakfast is included and it's not bad. Internet is slow. Location is not far from the mountains, so we choose to stay there. Dear Roman961 Thank you for writing a review for our hotel. I apologize for the hot tub not working during your stay. We were in the process of fixing it, however, we had to wait for a part. Unfortunately, we never know when this type of issue will occur but our pool was available at that time. I hope you will return to visit so you can enjoy the spa. I've stayed at this property many times over the past decade and I always try to book early enough to guarantee a room. The location is perfect for anyone looking to visit museums or homesteads, and hiking, kayaking on the Hudson is minutes away. 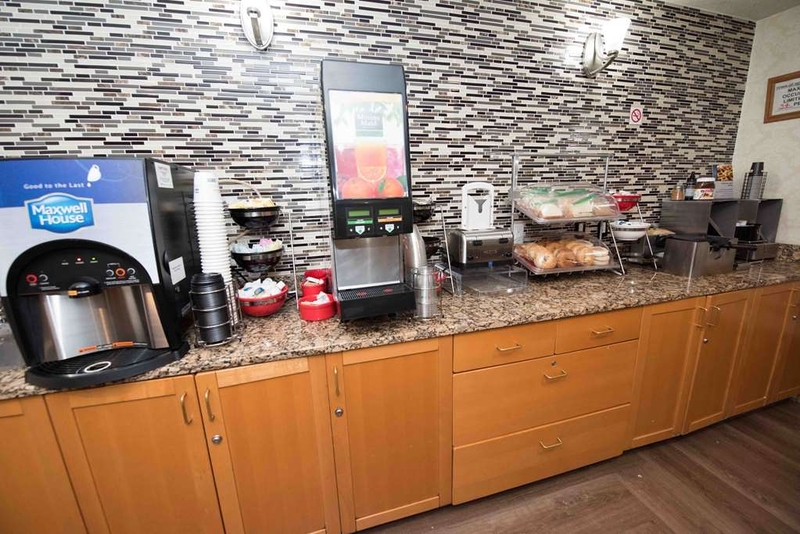 Friendly staff, very comfortable beds and a free breakfast that is comparable to Mickey D or Burger King with muffins, cereal (hot or cold) ,waffles and fruit. My wife and I stayed here for a weekend wedding in Hudson. It was a 20 minute drive to Hudson and the prices were much lower than in Hudson. While the location and outside appearance of the hotel were spartan, the room was clean and comfortable. The rooms have been recently refurbished, so everything was new. The staff was friendly and accommodating. A one night stop on our trip marked this as a good stopping point. Just off the highway but rural feeling. Two fast food options a mile away. Room was a good size and clean. Only note is walls are thin and sound carries. Thankfully our "neighbors" turned off their TV early so a quiet night. Bathroom a bit dated but plenty of hot water and a nice shower. Free breakfast - standard fare. Good stop. We were displaced out of our home for 3 days. We reserved the room overnight. The staff was accommodating and helpful. I called the front desk and Harold who works there for ever went out of his way to get us 2 additional nights in the same room. I think that's why this hotel is great they have a great team.The hotel is clean and offers a great continental breakfast. This hotel will always have my business and I will recommend this place to all my family and friends. "Water had a yellowish cast, no hot water"
The positives--the hotel was clean and the breakfast was good. The big negative is that on Sunday am about 9 am NO hot water for showers. Plus the water coming out of the faucet had a yellowish cast, so we did not drink it. We called the front desk and they sent up a maintenance guy to look at the hot water--he said the hotel always runs out of hot water am Sunday am. So I guess the moral of the story is to take your shower on Saturday night or very early Monday am. Disappointing as one of the things you expect from a motel is a hot shower. Wonderful updated comfortable room. Bed was decked out with lots of pillows and very comfortable mattress. Very clean, friendly front desk staff. Very inviting pool and exercise room and breakfast. Wonderful 2 night stay?? We stayed here for one night on our way to New England. The room was spacious, clean and comfy, as were the beds. We enjoyed our stay. The location is pretty rural, and finding a nearby restaurant was a challenge. Each year I do an overnight group bus trip to PA. I stay at the Coxsackie BW as it is less than a mile from the bus company. The Coxsackie BW is ALWAYS Clean and Friendly....The Staff go above and beyond to make our stay perfect in every way. This year as my group was checking out at 4:30 a.m., the front desk clerk offered to make each of us a "to go" breakfast bag. It was soooo very thoughtful and MUCH appreciated. It's the little things that go a LONG way! Kudos BW of Coxsackie! We stay here when we visit our daughter and it always a pleasant experience. It will only get better as the renovations take place. I appreciate that you have bananas in the breakfast room. The breakfast attendant is very friendly and available. She seems to like her job..
Lots of free parking but needs a bit more light at night. Comfortable bed . Clean room but small bathroom.Good service - nice people with smiling faces , very helpful .The best Breakfast Ive had in a long time .Great breakfast infact . I will start off with positives, the breakfast was great. A very large variety and the lady that is in charge of the breakfast is great. The room was clean. We stayed in room 120, I would suggest avoiding this room for several reasons. The door sticks really bad, almost hurt my wrist trying to get the door open and the cleaning staff are aware of the issue. There is one outlet near the bed and the way that it is situated an apple charging cord does not fit. The only outlet near the desk is in the wall. My main issue with the room is that the cleaning crew set up a base just outside the room and start talking at 8:20 in the morning. If you get up before that then it's not an issue. Josh seems to be the foreman of the cleaning crew, and he comes around 8:30 and gives them their instructions, obviously loud enough that we heard it in the room. "Best Western at New Baltimore"
Great place to stay! Affordable, clean and quality service. We stay here at least once a year when we visit the area see the fall foliage. We always have a pleasant experience, the staff is friendly and courteous and the accommodations suit our needs. I thought this hotel to be very neat and clean. Also, it had pretty much all we needed to make the trip up for a family wedding a great experience. Loved the shuttle to and from the wedding party! THe pool looked inviting even though I didn't have much time to swim. The exercise room had some really nice dumbells, which were ergonomically designed. Not a big room, but had the necessary machines to satisfy aerobic as well as resistance training. Dear Jack Thank you for your great review! It was a pleasure to serve you. We appreciate your patronage and hope you will be able to visit us again when you will have the time and opportunity to take advantage of all our amenities! We booked a different hotel stood one night hated went to this one and loved it. Friendly staff clean rooms plenty of parking. Comfortable beds nice bathroom free coffee. Would definitely stay again. Located right off the highway. Dear Tony C Thank you for your review of our hotel. We appreciate your kind words! We are happy you found us and hope we will be your "home" away from home the next time you travel this way. Thank you for mentioning our "new beds", we are glad you found them comfortable. We look forward to your next visit! Pet friendly means your room will be on the back and side of the building. Easy access to outside through a side door. Hotel has a washer and dryer for guests. It does cost money. Breakfast is typical hotel food. Since I eat tea and toast, it is fine for me. Dear Laura2373 Thank you for taking the time to review our hotel. We appreciate your patronage. We hope you will be able to return for another stay and allow us the opportunity to try to get that score up to a 5!! The hotel was clean, and there was a free breakfast. I really can't complain. I came into town for a wedding, and this hotel is where I was staying. The staff was extremely helpful, and I would 100% stay again. It was relaxing. Dear mmuntner Thank you for your review. We appreciate the nice things you expressed on our behalf. We do hope you will return and relax by our pool and enjoy our newly renovated guest rooms. "Barbara made our stay delightful"
Dear Philip Thank you for your rating of "5"! We really appreciate it when our guests take the time to compliment any of our staff. It is nice to know there are people who are so thoughtful. Thank you again for choosing Best Western for your lodging needs. I have stayed here for a few nights now and the breakfast team has completely turned me off. My wife's eggs literally had a 12 inch blonde hair in them. The next day I went back to give it a second shot, and there sausage was kept warm at 69 degrees. That is below sub par. When asked Ryan told me, "We don't cook the food, US Food does." Wow Ryan, your an idiot. You are responsible for serving the food. Sorry BW, but you seriously screwed up with this team. We will be letting the health department know. This is unsafe. Recent stay at BW New Baltimore, 3 rooms, all very clean, friendly housekeeping staff, breakfast room staffer, Barbara, was very informative, cheerful and lots of fun. Everyone did what they could to accommodate us during our stay. Dear Visitingtravelor Thank you for your kind words regarding our hotel. We enjoy our guests and are happy to hear you had a nice stay with us. We appreciate your patronage and hope you will stop back again!! Dear Michael Thank you for writing this great review and taking the time to acknowledge our front desk agent. It is always a great day when our guests recognize our great staff! We appreciate your kind words and hope you will return to our hotel soon. "Good location, very clean, good value"
Very clean, good location right off thruway, easy to find, great value, staff friendly and helpful. Minor caveat, no elevator so request first floor room if stairs a problem for you. Plenty of parking, breakfast is included (treat yourself to blueberry muffins and Fruit Loops!). Coffee nice and hot, plenty of hot water in the showers. Good spot for both business and pleasure stays. Dear Mary L What a pleasure it is to have great guests like yourself! We appreciate you taking this opportunity to share your opinion regarding your recent stay at the New Baltimore Inn. We are excited about our new additions to our breakfast lineup and are happy you enjoyed them too. As you know, we have been in the process of refreshing our brand and hope you will stop back to see and experience the completed undertaking! Good for a stop on the way to Canada or further north. Not much to do in the area. The rooms are clean and well-supplied. Be careful at check-out. I traveled with a friend who submitted his credit card for his room, and I submitted my credit card for mine. Both rooms were charged to me, leaving me to pay for both because I felt cheap to ask my friend to cover. The clerk seemed never to be paying much attention to anything. Dear Merlinandme2013 Thank you for reviewing our hotel. We appreciate your comments. I am sorry if our front desk agent seemed less attentive than they should have. I understand the predicament you were put in with the confusion regarding your credit cards and apologize for it. We have been in the process of refreshing our hotel and appreciate you mentioning the rooms! Hope you will return to offer us another opportunity to serve you. Reserved two rooms months ahead, requested them near each other. We were family traveling for a wedding. One room was on second floor other on first floor -as far apart as could be. Reserved rooms later on from other wedding goers got closer rooms than us. Was going to ignore this fact but one room was dusty and smelly (moldy musty). The icing on the cake was first floor room had tons of Ants. Now out suitcase & pocketbook (designer bag) has ants crawling it it/them. Stay at holiday Inn next door instead. Dear Valerie Thank you for your review. We apologize for the inconvenience you experienced during your stay. We do have an outside pest control company monitor our rooms monthly, however on rare occasions situations that are beyond our control do happen. We value your patronage and as you know, did try to remedy the situation. I am sorry you are not happy. We hope you will return and allow us another opportunity to serve you. The staff really sets this property apart - they really make the effort to see that everything is just right to make your stay the best possible experience it can be!! 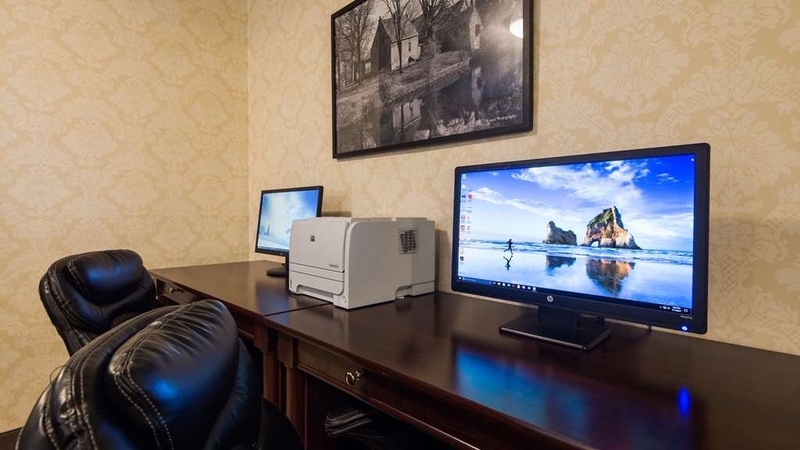 The rooms are comfortable and the amenities of a refrigerator, microwave, coffeemaker and free WIFI that actually works makes this property a great travel alternative! Stayed here overnight before visiting our kids at summer camp. Nice, clean, comfortable room - friendly staff - good breakfast. Just a good, solid experience. I enjoyed the indoor pool in the morning, too. Great service from all staff as well as a nice hotel and great value for our (5 Couples) mini reunion. Second time we have stayed at this Hotel and enjoyed it each time. Looking forward to doing it again next year. 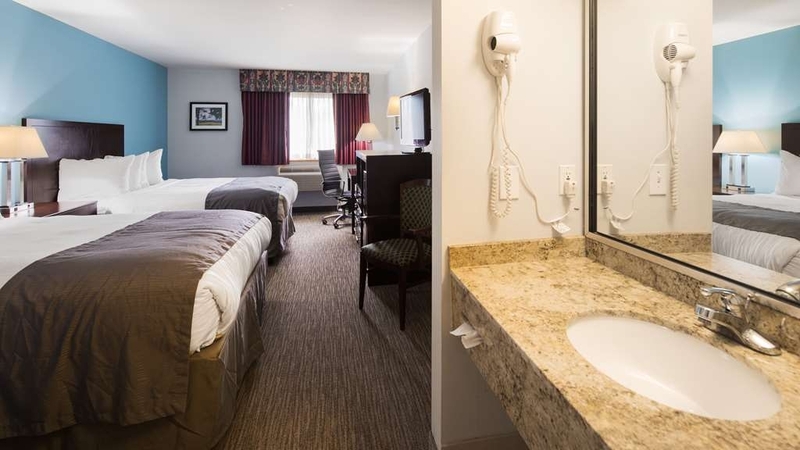 The BestWestern @ New Baltimore is convenient & clean that is easily accessed from Thruway. Staff is polite and very helpful. Breakfast is simple, but just what you need for a quick getaway in the morning. As always, Best Western provided me good service and a clean and comfortable room. The hotel staff were friendly and helpful. The hotel was conveniently located just off the freeway along my road trip. The WiFi worked well and the bed was comfortable. Over all, I was quite satisfied with the experience. It was everything I've come to expect from a Best Western. "more thought into room assignment would be helpful"
The bed was small and an uncomfortable mattress. Also we were put directly across from the noisy vending area and other rooms were available. More thought could be put into room assignment . Early arrival should expect a better placement in my way of thinking. The gentlemen in the breakfast area needs more training. "Revised Rating after Speaking with Manager"
After speaking with the manager, Norma, she refunded 1/2 my stay per my request. The hot water heater had stopped working and we were not able to take hot showers. I was upset because the management team was not available over the weekend. However I did receive a call back two days later. I am now satisfied. The hotel was an average upstate New York motel, but clean with a good breakfast. I boosted the rating because they were easy to deal with once they called me back. This stay reminded me of why I normally do not stay at a Best Western. Toxic smell upon entering lobby; not very clean; rude staff. Never again. Do yourself a favor and stay elsewhere if you have to stay along the NYS Throughway. Dear Patricia Pillis Thank you for writing a review for the New Baltimore Inn. I apologize it was not a positive experience or review. My front desk agent informed me of your unhappiness with our rate and the $20 charge for your pet. It is our policy to accept pets with a minimal charge for the night. I am sorry you felt this was not acceptable. If our staff was rude in any way, I am sorry; we are in the hospitality business and we always attempt to be kind and courteous to all our guests. We hope you will come back and visit us again in the future and give us another opportunity to serve you. Not knowing exact location but looking for hotel/motel close to thruway we booked by trip advisors recommendation. Hotel very clean,but no elevator and even though it is only a two story building inconvenient, if you need to lug a suitcase up two flights of stairs. Rooms noisy as you can hear the thruway. Breakfast as good as any of the chains. But it is very close to the thruway…No problem with any service and again one of the cleanest hotel/motel we have stayed at this trip. Newly refurbished. Exceptionally quiet although right next to Thruway The staff is friendly, efficient and helpful. Rooms are huge and clean. Lots of dog walking space. Convenient to Thruway, a superb restaurant (Red's) and gas stations. A very comfortable place to stay. "Once Again a Very Enjoyable Stay"
Actually I hated to leave.This hotel always goes beyond my expectations of excellence. It is so well run. Everything is immaculate. Staff is pleasant and professional. Very attentive to your needs. Pool was so refreshing and sparkling, just the right temperature . Coffee was hot and always available in the lobby. A free varied breakfast was offered and many folks chose the waffles. I preferred the scrambled eggs and sausage. I will be back again latter this month. Beautiful area. I love the Catskills! Located right off the New York Thruway this motel is aged but clean. There is a free breakfast in the morning (at least on weekends) and small indoor pool. The place is comfy and cozy with paper thin walls but for the price ($100 including tax) we would stay there again if we are in the area. This was 1 of 2 hotels in area I needed for great gran daughter's wedding. Several other family members were also staying here, so it was convenient. Hotel is dated & needs some modern upgrades. bathroom sink is in the room foyer with not enough sink space for all toiletries. Also when other people come into room, they see all your stuff. Beds were very comfy, parkway sounds can be distracting for some on back rooms. All in all, the stay was enjoyable. Nice folks. Speedy check-in. Clean room. Free parking, wi-fi, breakfast and pool. Simple hotel-style decor is very functional Good water pressure. Bedside reading lamps. Mini fridge and microwave. Coin laundry. Ice. Hair dryer in room -- why doesn't every hotel have one? Nothing missing here, plus the folks are helpful and friendly. Had great stay at this hotel was very clean and great breakfast for a best western staff was very helpful. Was right off the highway. Very quite and spacious rooms Will surely stop by again when in the area. Price was really reasonable much better than what I pay when I stay in Albany NY. 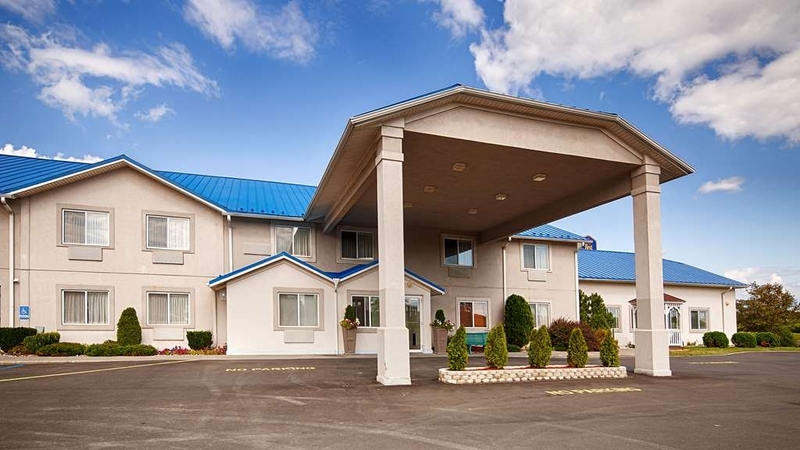 We chose this Best Western because it is a pet friendly hotel. Our room was very spacious, the bed was extremely comfortable and the breakfast provided many different options. We recommend this location and would definitely stay here again. We always enjoy our stay here. Everyone is very helpful, friendly and willing to assist or help in any way. 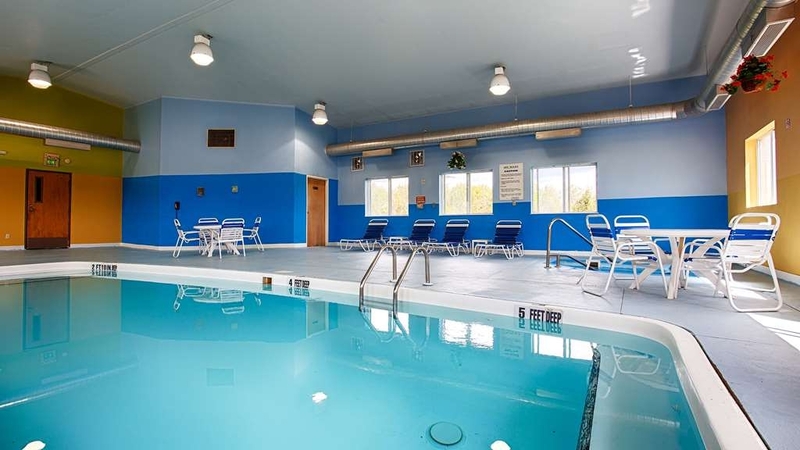 Rooms are large, the heated pool and hot tub area is divine. It's the most relaxing hotel stay we ever have and it's consistent. The breakfast was not good this last stay. No employee to care for the area and the tables were messy. The food was not good. I feel that it was poor quality. I would stay there I again but I wouldn't eat the free breakfast. "Well it is clean and quiet." Do you ever walk into a place and wish you were staying somewhere else? My introduction to this property was being almost run over by a desk clerk barreling through the front door chasing a guest! Later as I brought my bags though the lobby that same clerk was arguing loudly with a guest on the telephone. The property is older, but it has been kept up and is clean. The room was small, but had a table for work as well as a microwave and refrigerator. Breakfast was adequate. It is right off the thruway and easy to find. There is a 24 hour gas station nearby and a great pizza place a couple of miles south on route 9. We're able to check in a little early on a Saturday afternoon. Easy access from RT 87, Lobby was nice and clean. Room was standard hotel amenities with desk and 1 reclining rocker chair bed was a queen, but room was large enough to have accommodated a king which would have made the stay nicer. Room and bath were clean. Was fine for a one night stay for going to a wedding. "Nothing fancy but clean, great staff, warm pool and decent breakfast"
We visited the area for the Hudson Valley Garlic Festival this weekend and spent the night at this hotel. The room was clean and comfortable and the staff went above and beyond to make sure we had everything we needed. Cannot say enough about their attentiveness, they anticipated we would need extra towels for our family before we had to ask and brought a cot to our room before we arrived at the door. The pool was warm and clear and the hot tub was great at the end of a day spent walking the fair. The showers have fantastic water pressure! Thank you for a comfortable, pleasant stay! On a recent business trip we extended our stay after business to take in some area attractions. Best Western offered a deal to extend our vacation making it an easy choice! It was well located to several interesting area activities. The staff was very friendly and helpful. The room was well kept and clean as a whistle. The bed was very comfotable. The location is perfect being just off the NYS Thruway. If I'm in the area I would definitely book at this Best Western again. I stayed here for two nights for a wedding. Having read the other reviews, we inspected our hotel room upon arrival. Although it was a non-smoking room, we could smell smoke as soon as we walked in. Also, the mini-fridge still had food in it from the previous guest. The hot water continuously went in and out. The only positive was the staff. They were really helpful and were quick to get you anything you need. As soon as we told the gentlemen at the front desk that the room smelled of smoke, he came up with a spray to cleanse the room and also a machine. The gentleman working the kitchen was really nice and attentive. Breakfast was decent - I stuck with the waffle maker and yogurt based on the previous reviews. I also think that I may have been allergic to the products used on the bed sheets and/or towels because, by the end of my stay, I ended up breaking out and I am not someone who is prone to break outs. Unfortunately, I wouldn't stay here again and can't recommend it.